Safety is always top of all priority lists. Mothers milk is one of natures true wonder: it is in fact the most complete food. When nourishing her baby, a mother feels content and peaceful, because she fully acknowledges the central role she has in babys growth and health. 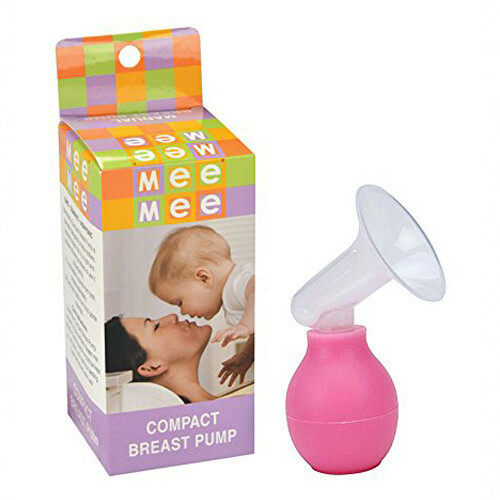 If, for any reason, a mother is not able to breast feed, she can still extract her milk and give it to her baby using a quality breast pump feeding bottles of Mee Mee. It is advisable to pump form both breasts alternately until they are completely empty. All parts are made from food grade materials are 100% BPA free. Unique double valve design to allow repeated suction. Easy to assemble safe to usable. Easy to sterilize.